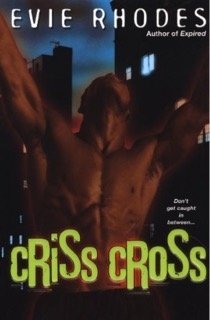 Criss Cross by Evie Rhodes - Audio Book (MP3 Format) - zipped file contains folders for 7 discs. Please note: File size for audio book is approximately 415MB. Recommended for broadband downloading only. Not recommended for download on dial-up or mobile devices. Homicide detective Micah Jordan-Wells has seen the worst humanity has to offer on the mean streets of Newark, New Jersey. He's earned himself high-profile celebrity status by catching more murderers than he cares to remember. None of them were as bad as the serial killer known as Silky, whose death relieved a city of one of its worst nightmares. But Micah's nightmares are just beginning. A new predator stalks the streets, tearing through prey like a riptide and laying the blame at Micah's feet. Accused of murder, under suspicion by officers in his own precinct, and tormented by visions of the victims' brutal slayings. Micah finds himself enslaved to the cruel manipulations of an unfathomable mind--"one that's inexplicably linked to his own. It began the day Micah was born. His arrival opened a portal between worlds --"a passageway between the real and unreal, reason and madness, light and darkness--" and within the realm of Criss Cross. CRISS CROSS Audio Book (MP3 Format) - zipped file contains folders for 7 discs. Please note: File size for audio book is approximately 415MB. Recommended for broadband downloading only. Not recommended for download on dial-up or mobile devices.